Hello everyone! I am creating my travel journal in this video series and am sharing video no 2 with you today. You can see part 1 here. In the last video I shared how I made a gold leafed cover. 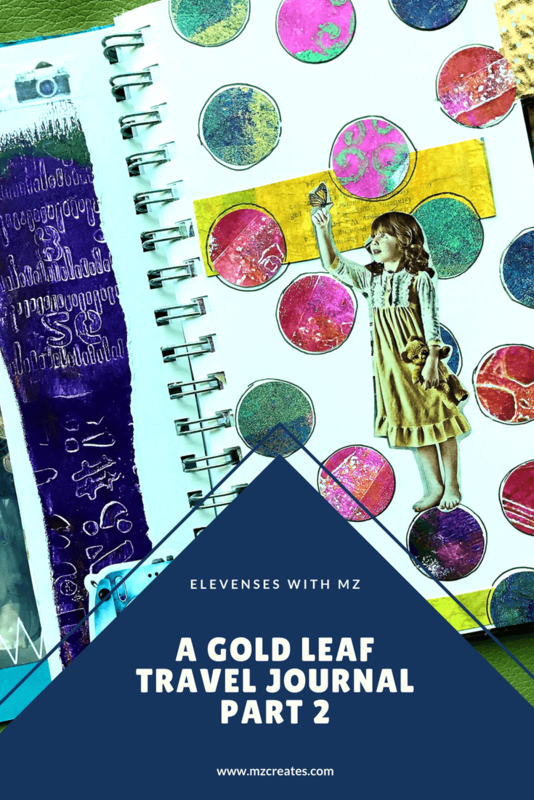 In this video we will talk about how to use scraps of paper and cutouts from magazines and other found items to create really fun backgrounds for your travel journal. I don’t like lugging a lot of art supplies when I travel, so having a few backgrounds ready helps me to save on luggage space. I like having some layouts ready so that I don’t spend time starting at a blank page. I like incorporating travel brochures and maps and a little bit of journaling and seeing a page come together quickly. I also like coming home with a travel book that’s ready and doesn’t need me to spend any more time on it. In this episode I will also show you the kinds of paper items I save from projects. 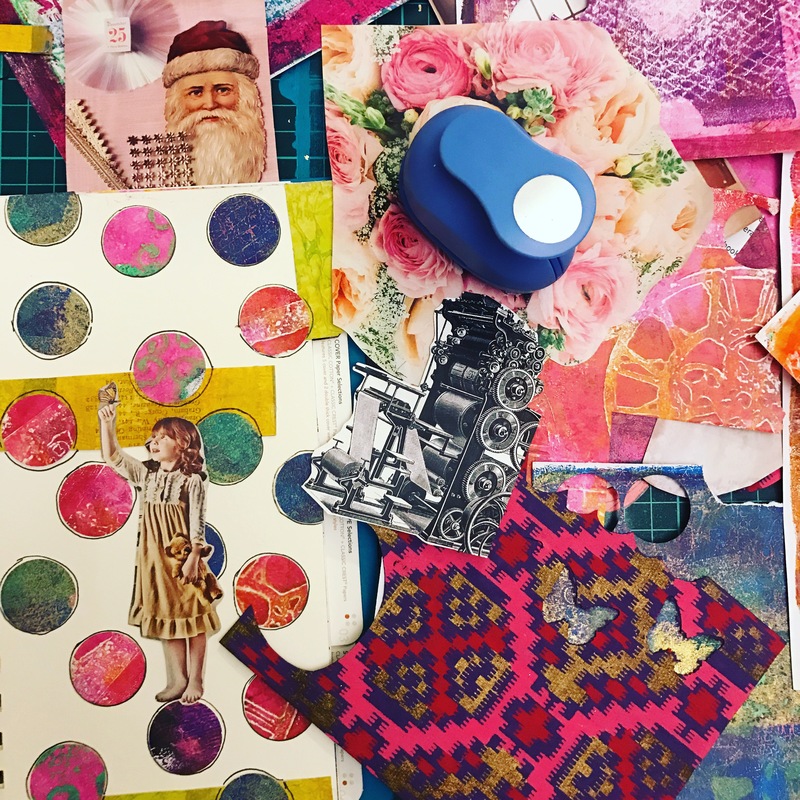 I love cutting up magazines and saving pretty bits and bobs and all of them are used when I create these fun collage backgrounds. 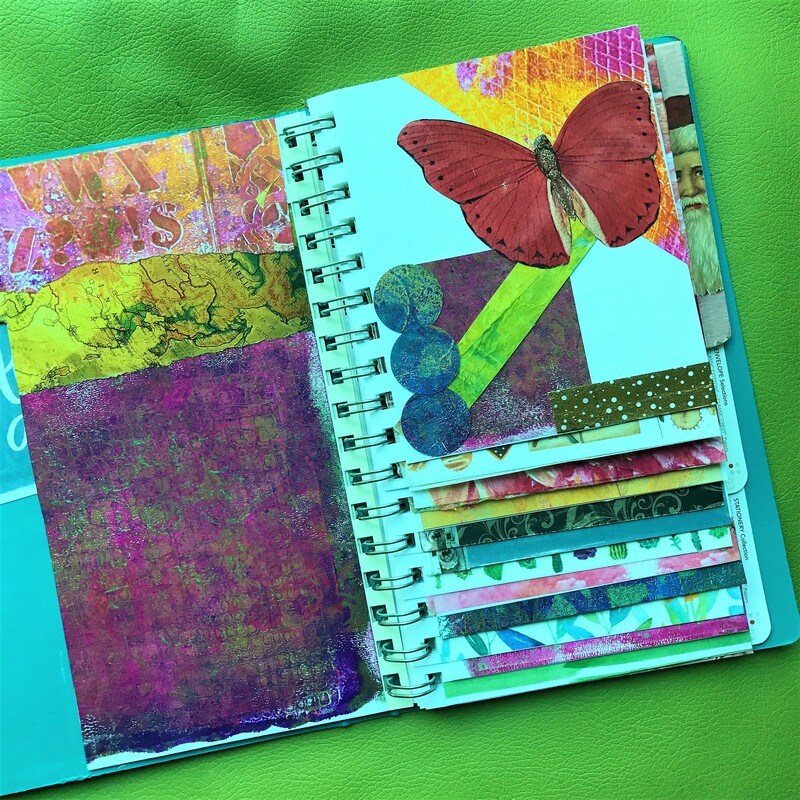 I’m using this technique in my travel journal but you can use the same ideas and create layouts in your planners, art journals and scrapbooks. The sky is the limit. This is also a great project to do with kids over the holidays. They can incorporate some journaling too so that they have a book at the end of the summer that tells their summer story with words and visuals! If you like this video you can subscribe to my YouTube channel so you don’t miss the next installments of this series.